Along the course of their music careers, some artistes often take a break from the scene, before returning with bigger and hotter music than before. This week, Weekend Magazine takes a look at those who have been able to their stage comebacks successfully. Sound Sultan began his career in 2000, under the Kennis Music label, but came to widespread acclaim in 2007, when he released his album Naija 007. Since then, Sound Sultan has remained active in releasing something new every now and then. But since 2013, the rapper has been laying low, only for him to contribute to the soundtrack of 2018 Nollywood movie, Power of 1, with the single, '4 Instance Again,' with 2Baba and Kelly Handsome. The breakup of the duo Peter and Paul Okoye that made P-Square, came as an unpleasant surprise, as the group had time and time again released music that became instant hits. From 'Do Me,' 'Chop My Money,' and 'Busy Body.' They're last album, 'Double Trouble' was release in 2014, and the group disbanded two years later. After that, Paul made a solo comeback with the stage name Rudeboy, releasing the single 'Chizoba,' 'Reality' and 'Is Allowed' featuring Reminice. But it goes without saying, the success has yet to come close to that of his P-Square days. Being one of the members of the now defunct music group, PlantashunBoiz, Faze carved a niche for himself as a solo artist with chart topping tracks like 'Kolomental,"Originality' and 'Kpo Di Kpo' in 2006. After which, he took a long hiatus from the scene, and reemerged with a new single, 'Perfect Woman' in 2017, followed by a highly successful concert the following year, 'Faze and Friends' in Abuja. D'Banj has enjoyed a flourishing career in the music industry, and continues to bounce back bigger and better, no matter how long he's away for. After enjoying major success with the release of his 'No Long Thing,' his debut album, he later went on to release another highly successful album, 'The Entertainer' on 2008. 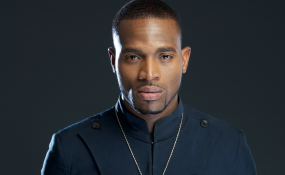 D'Banj then took a four-year hiatus before returning on Kanye West's G.O.O.D Music label, releasing the international smash hit 'Oliver Twist.' Since then, the Kokomaster has continued to release singles, which have all enjoyed relatively good success on the charts.